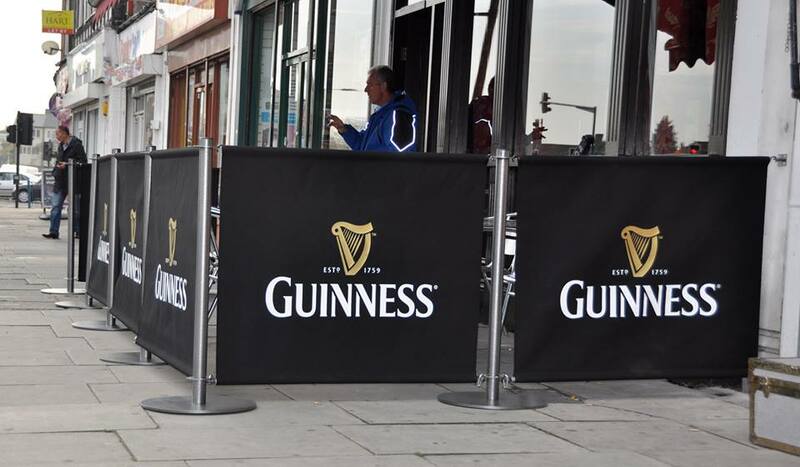 PMT’s Café Barriers and Screens systems are the ideal way to create an outside drinking, eating or smoking area for your bar, restaurant, café or club. Every barrier can be fully personalised both sides with an opportunity to promote your business, product or offers even more to your customers. 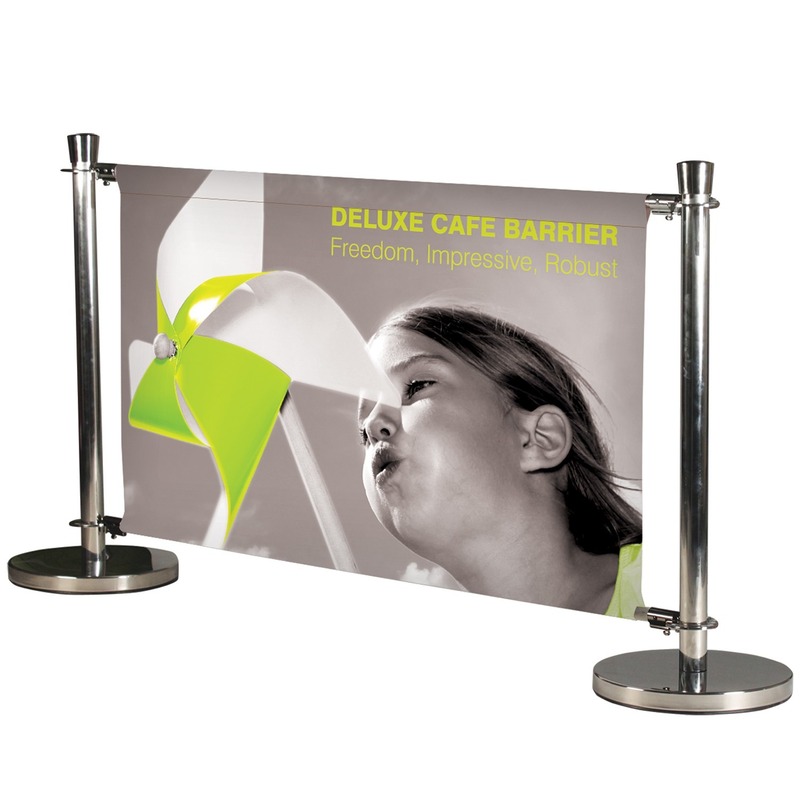 Our Café Barrier system is printed on waterproof PVC or a heavyweight fabric material with a stainless steel frame that is built at made to measure sizes to fit your environment. 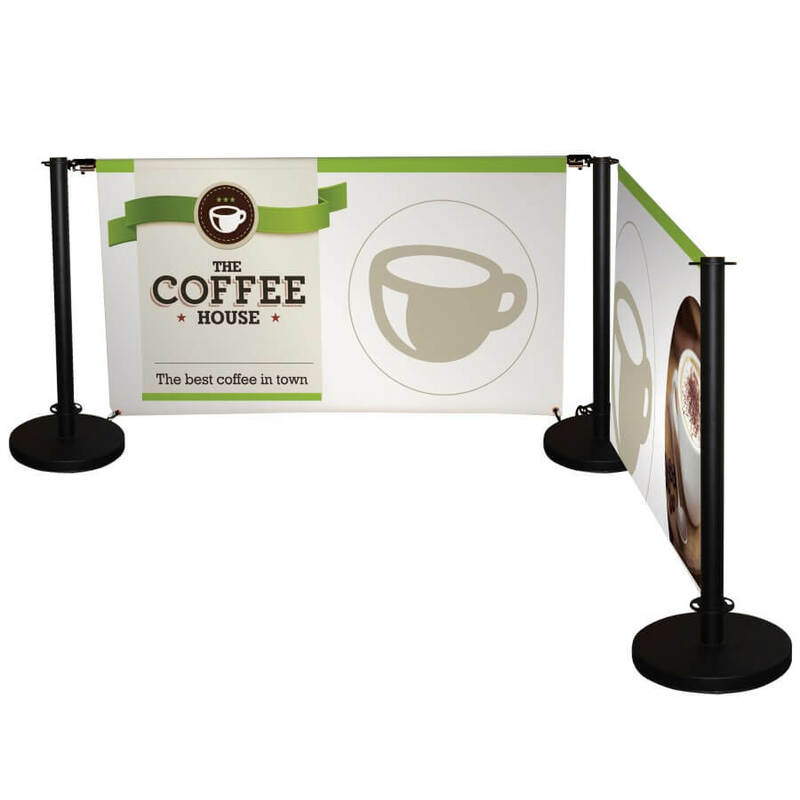 Café Barriers offer easy removal for pavement application. Lightweight and portable, they allow a flexible arrangement. Terrace screens can be permanently fixed or removable, great for defining a social area. The substantial sections provide wind shelter, with various styles available from fully to part glazed.